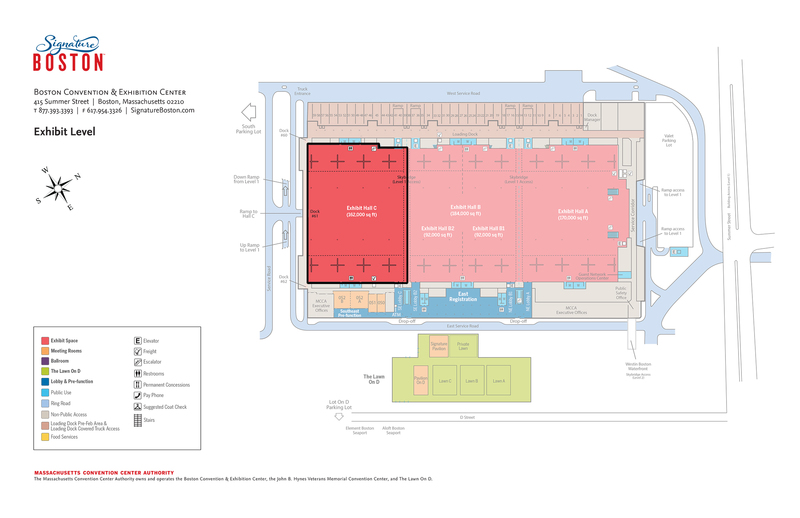 The BCEC exhibit halls deliver spectacular flexibility with 516,000 square feet of contiguous, virtually column-free space. 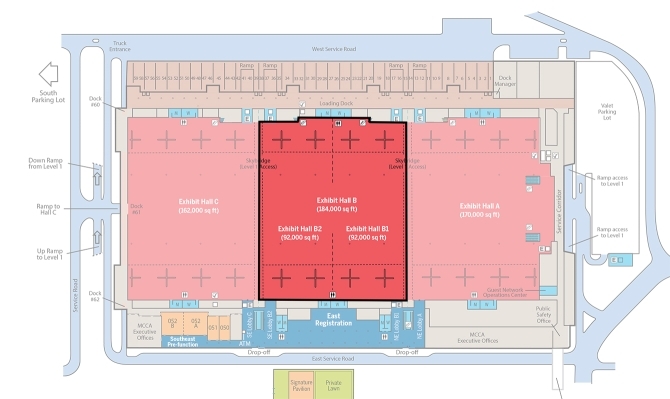 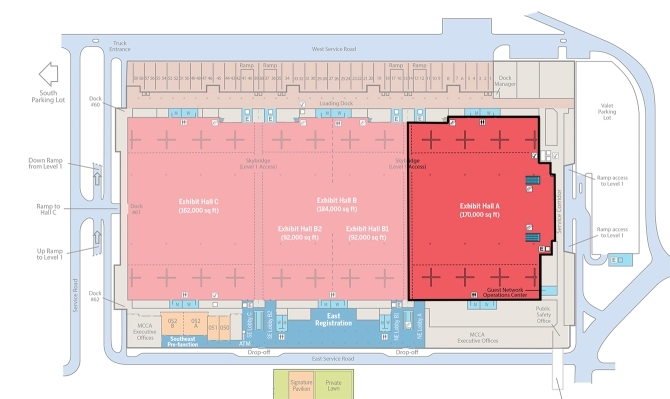 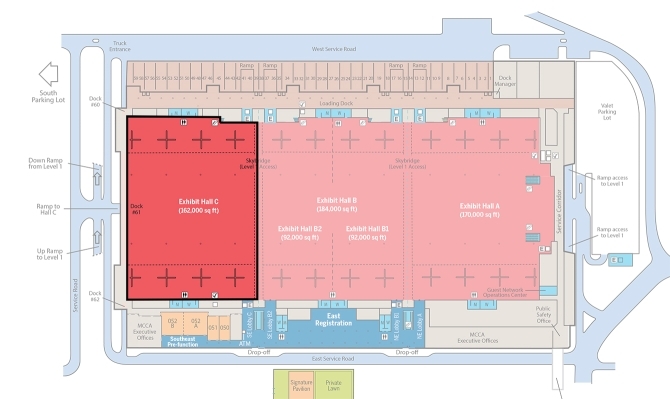 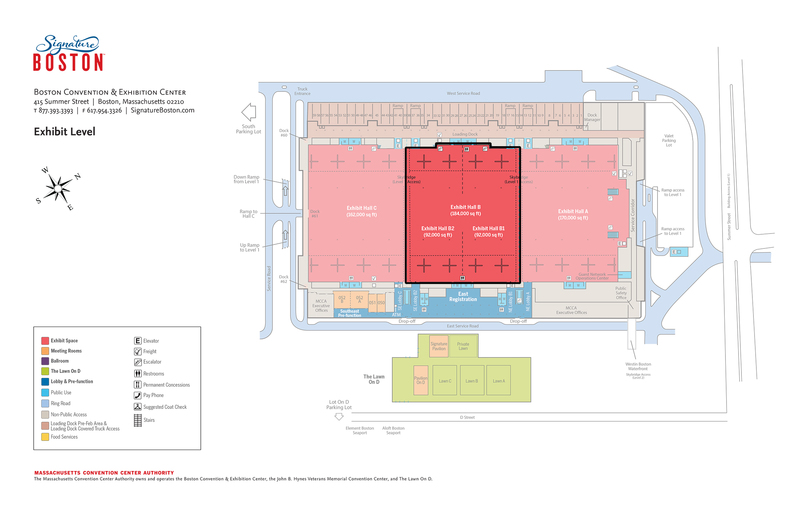 You can orient your exhibits East/West or North/South, with halls that can be set up in 10 different configurations. 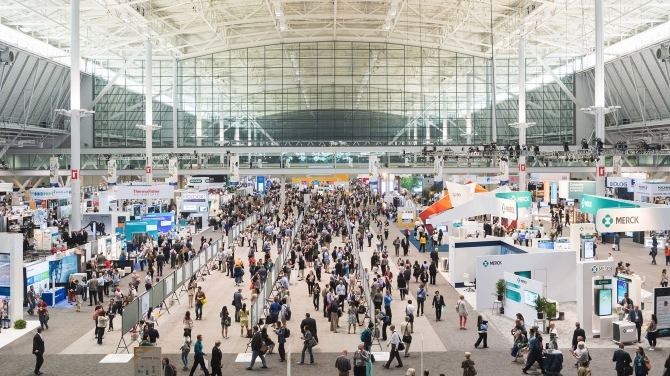 Ten unique entrances to the exhibit halls allow you to design traffic flow through your event. 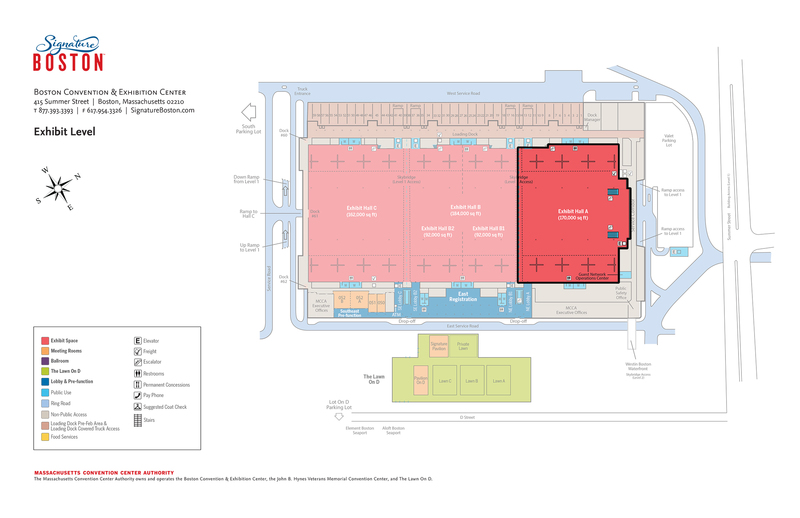 The space also features abundant natural light, greater ceiling heights, and all utilities in convenient floor boxes.